UNI Smart Devices is a new WiFi network at UNI. This network will enable devices like smart TVs, gaming stations and other special purpose systems. 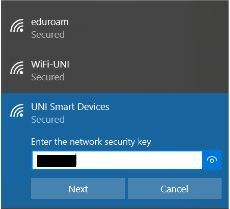 It’s intended on for devices that can’t connect the eduroam network with a username and password. 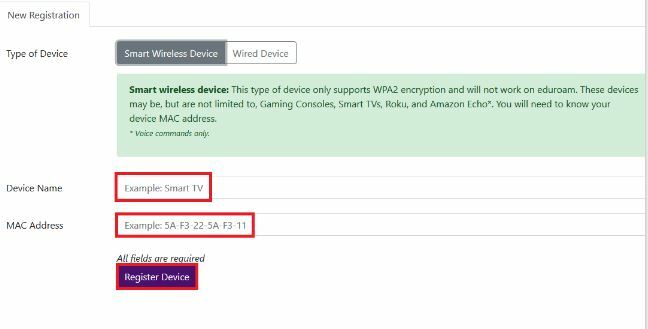 Laptops and other devices that support 802.1x authentication should use eduroam, because it is secure and has fewer controls. Devices like laptops and tablets will not work on UNI smart Devices. 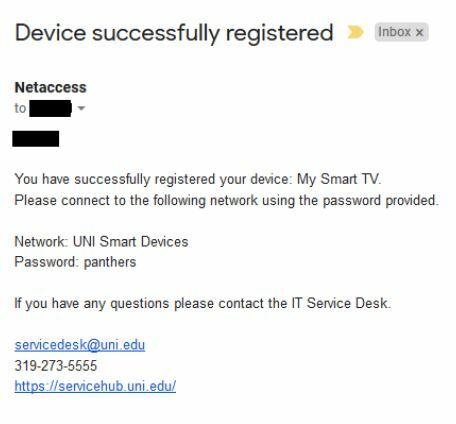 Some devices are intended for home use and don’t work well, or not all features work with UNI’s Smart Devices network. Devices that require you to connect directly to the the smart devices with a mobile application will not work. This applies to some features of smart speakers and to a TV stick. 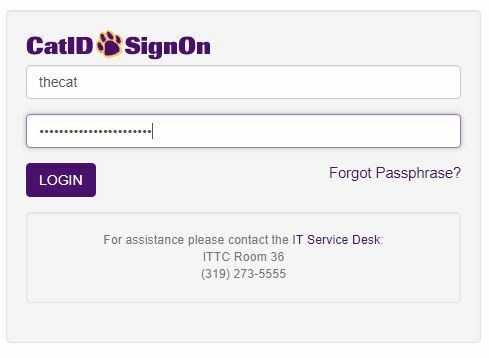 Note: This website is only accessible from on-campus at UNI. You must be connected to the eduroam network or an active wired connection. Cellular connections will not work. Fill out the Device Name and your MAC Address of the device that will be used. Need help finding your device's MAC address? Visit our documentation on finding MAC addresses of common devices. Finalize the network setup on your specific device. In some cases you may need to change something with your device. 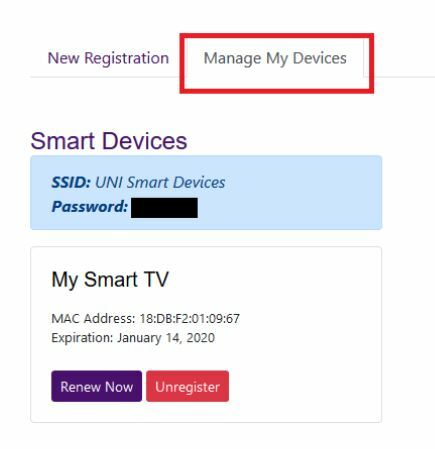 You may unregister your device if you no longer need it or Renew it if your are returned back to campus and want to continue to use your device. The most common error is that the MAC address registered may be incorrect. 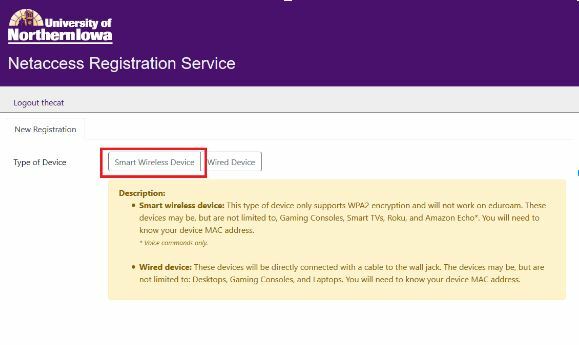 Verify you're viewing the smart device's wireless MAC address and that it was entered in correct (12 digits total, 0-9 or A-F for characters.